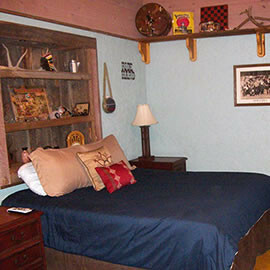 When you stay in Williams, Arizona you have many hotel accommodations available to choose from. But why just stay in a cookie-cutter motel room with only some coffee and maybe a banana to offer for breakfast? 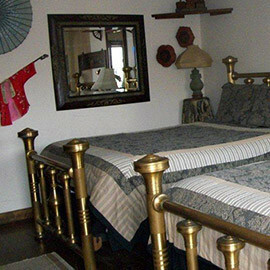 You walk into a perfectly decorated, detail oriented, clean room that really gives you the feeling that you have stepped back into time. After your refreshing night's rest on our exceptional soft beds you wake up and head over to the Branding Iron Restaurant for some real hot breakfast served to you in an actual dining room (not included in room price). No cold cereal here only the freshest handcrafted omelets, burritos, pancakes and potatoes with endless fresh piping hot coffee. 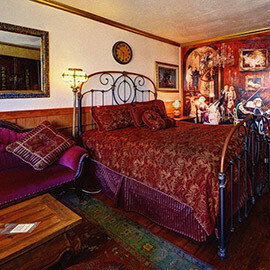 This is actually what you will experience when you stay at the Drover’s Inn at the Wild West Junction. 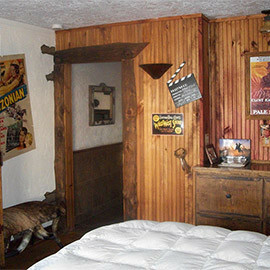 Drover’s Inn offers seven unique & different Wild West-themed rooms such as the Bordello, Movie Room, and Trappers Cabin. 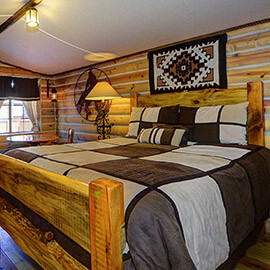 You will also find family sized accommodations in the China Camp, Hunter’s Lodge, or the private getaway Hacienda Suite with a private balcony and jacuzzi style tub. 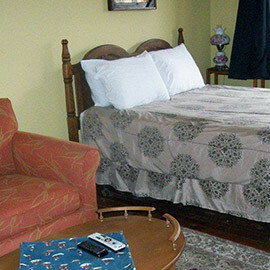 All the rooms are affordable in any budget. The Wild West Junction offers free WiFi to all of it’s guests and aside from just a delicious breakfast, the Branding Iron kitchen is open daily for lunch and also dinner. The Branding Iron steak house serves up juicy steaks and mouth watering pork shoulder and brisket along with many other favorite dishes. All meals are served with homemade sides. During the summer months live music plays nightly in the courtyard entertaining guests outside under the warm starry Northern Arizona sky. Take a step into the Long Horn Saloon for the coldest drinks and the friendliest bartenders in town. You are sure to make new friends just by walking through the doors. 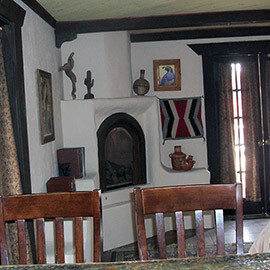 You will find Wild West Junction at 321 East Historic Route 66. 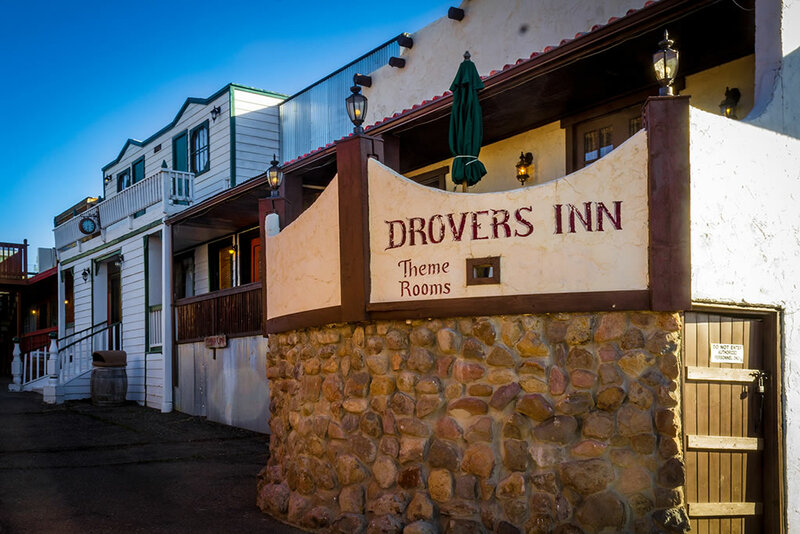 To reserve a room at the Drover’s Inn call 928-635-4512 for availability. You can also send an email to info@wildwestjunction.com. Also be sure to like us on Facebook.